The quirky and unusual Juke has proved a huge success and become one of the most popular crossovers around. So what's the secret? Well the looks make a big difference. It's unlike anything else on the road with it's striking front end and angular design. But the good news is that this isn't all form over function. 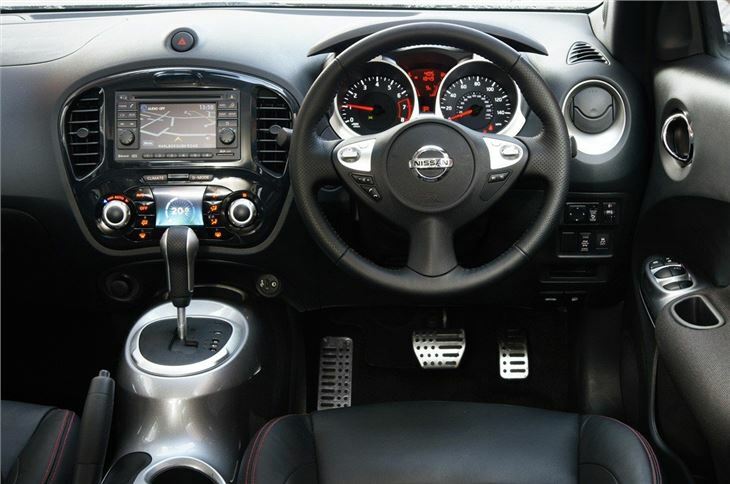 The Juke not only looks great, it's also comfortable inside, good to drive and reasonably practical too. It's described by Nissan as a cross between a compact SUV and a sports car. So it looks the part but still gives you good versatility when you need it. The interior is sporty and unique, featuring the clever Nissan Dynamic Control System on top models which switches from climate control to a drive control function. There's also a motorcycle fuel tank-inspired central console, as well as plenty of scope for personalising the cabin with different colour trims and finishes. It drives well with responsive steering although the ride is a touch on the bouncy side as is often the case with smaller crossovers. The Juke was revised in 2014 and although it doesn't look very different on the outside there are some significant changes under the skin. The suspensions and steering have been revised so the Juke is now far better when it comes to ride quality. The steering is well weighted and there’s little in the way of body roll through corners even when you push on. It's also far more refined and quieter at speed. The 2014 facelift also saw the introduction of a new 1.2 DIG-T engine. It suits the Juke perfectly thanks to its peppy nature and decent low down torque while official economy is more than 50mpg. The rest of the engine range has been tweaked to be more economical including the good 1.5 dCi diesel although the 1.6 non turbo petrol engine is disappointing and best avoided.